Did you try the ASM TOOLS? It contains math function table generator and HEX 2 BIN converter! ASM80 has a feature for download binary file (BIN) instead of HEX. Two new directives were added – binfrom and binto – for easy setting memory range to export. Consult docs for further details. IDE has now a “Find A Label Definition” feature. Just press CTRL (META) key and double click on the label name, e.g. in the CALL instruction, and editor will find the label definition. IDE has now an auto-complete feature: write first two, three letters and press Ctrl+SPACE (on macOS it is Control too, not Meta – I am sorry, but the editor is a 3rd side software), the editor will suggest you symbol names. Workspaces and its synchronization caused some problems. Big apologies to all who challenges data loss, I am really sorry about that. Opening workspace again now does not overwrite local content, but merge it together. Conflict files are stored in both variant, you have to decide which one is recent. There is a “workspace auto-sync” feature, which saves the whole workspace remotely on each file save. It can be a little slower, but your files are saved safely. Open remote workspace A with the same workspace opened locally: Remote files are merged with local. Open remote workspace A with another workspace B opened locally: You can save local workspace B to remote storage (prompted) and then remote workspace A is opened. Press SYNC WORKSPACE: Current workspace is merged with remote version and then saved. I hope you find these updates useful. Hello folks, as you can noticed, there is some progress with ASM80.com online IDE and compiler. Last time I have introduced new features: generic emulator and assembler toolkit. First of all: ASM80 Manual, published with GitBook. Enjoy! .cstr When you need write a zero-ended string (C style), you can use DB "Hello",0 – or simple .cstr "Hello"
.pstr Similar as .cstr, but there is no trailing zero. .pstr is a Pascal-style string: first byte is length, then string. So .pstr "Hello" is equal to DB 5, "Hello". I have decided to deprecate old login system, it was not good. From now you can log in with GitHub account, Twitter account, Google account or Facebook account. You can link more such accounts together, of course. Your workspaces is now saved in Firebase DB. Your old workspaces are preserved, but it requires old way of login, so I recommend to save them into the new system. There was a bug in a .block feature – in some circumstances with 6502 code assembler can decide to use shorter addressing mode, so .block can be moved during the evaluation passes to another address. Now assembler reflect these changes and provide true addresses for inner @labels. A long time ago I started to play with 8bit CPUs and old computers… again. When I bought Phil’s V6Z80P, I used PASMO assembler. It is a great state-of-the-art assembler, really perfect. But over time I had a lot of assemblers, compilers and IDEs for different CPUs somewhere on my disk. And one day my disk crashed. So I wished to have “an online PASMO”. At first I made online editor with server-side PASMO. You wrote a code in your browser, pressed COMPILE, code went to the server, PASMO did its magic and send back my HEX (or BIN or whatever). Great thing! Later I’ve added FLASH-based Spectrum emulator, so I could write programs for ZXS, compile it and try it directly in emulator. But I never published this tool. And all of this is free, online, partially open source. Here is an assembler description and here is source code for the engine. Then I’ve derived small one-page assemblers for all supported CPUs. You can save it in your Favorites or at your local disk and use for simple compiling. 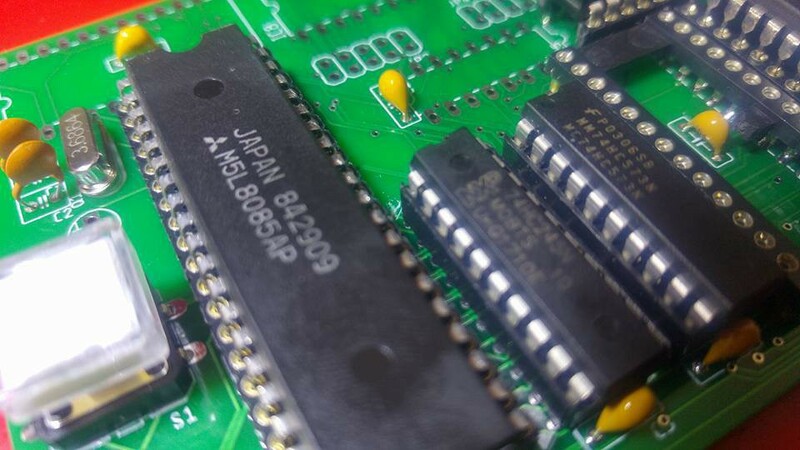 And the newest part of ASM80 family is an IDE80. It’s technically ASM80, with IDE, assembler, debugger and emulatore, repacked and compiled as a desktop application. It’s in beta version, just for Windows at this time, but Linux and Mac OS X versions should came very soon. You can watch a video showing first steps with this IDE. modules for generating not just HEX or S19, but TAP, SNA, PRG and other popular formats for 8bit computers. MS Visual Studio as an IDE for Arduino?